The basic idea for this ceiling lamp was classic globe. I then modified it to become an asymmetric sphere. It challenges the viewer to explore the changing shape as you move around it. A matt surface adds a playful feeling, associating it to a balloon. The glass is held and wired to electricity with a carefully designed matt brass fitting. 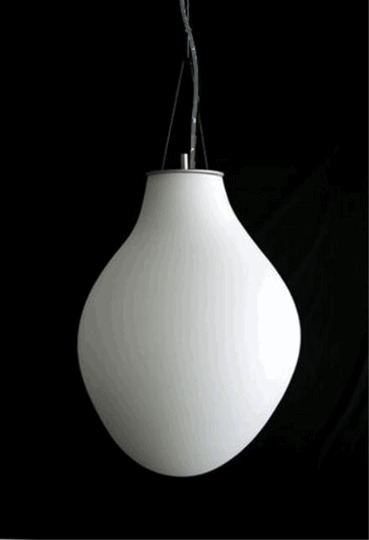 The design is minimal and elegant - easy to handle when changing bulbs. Each lamp is hand blown and therefore unique.